Allendale Suffolk stud was established in 1931 by Allen E Day when he purchased top quality ewes at the dispersal of Mr H. C. Wright (Flock 35) and a further draft of ewes from Buckland Park. Other major infusions were made from the famous Pembry and Stonehaven studs in the 1960s & 70s. At the Stonehaven dispersal in 1991 Graham and Alastair purchased some of Mr Shipp’s best Ewes. 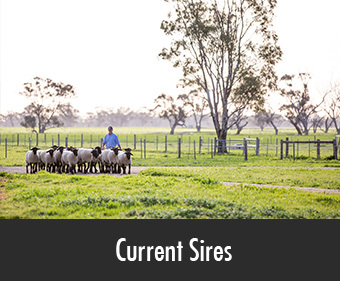 In 2011 the majority of Sandra and Bill Harbison’s Brechinridge Stud were purchased. 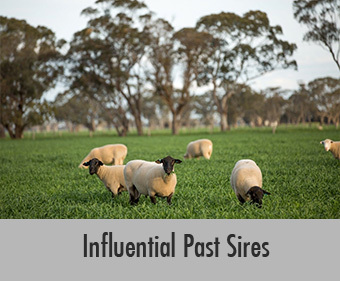 Many of our sires are from New Zealand. These include rams from the Punchbowl, Toi-Puke, Waterton, Dorie, Coleford, Waimotu and Brooklands Studs. Allendale is now Australia’s oldest Suffolk Stud joining 160 ewes. Allendale Suffolk stud exhibits annually at Adelaide and Melbourne Royal Shows. The Allendale Suffolk stud offers 15 stud and 50 flock rams plus 40 stud ewes at its annual sheep sale held on the first Friday in October. Lambplan was introduced in 1989. 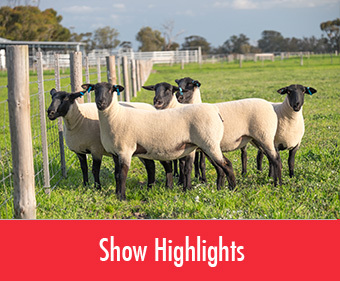 The highest health standards are maintained, with the Allendale sheep flocks accredited Ovine Brucellosis free (No 2) and MN3v (S049-V) on the National Johnes MAP program. Social Board: There is no feed to show or there is a connectivity problem to the world wide web!